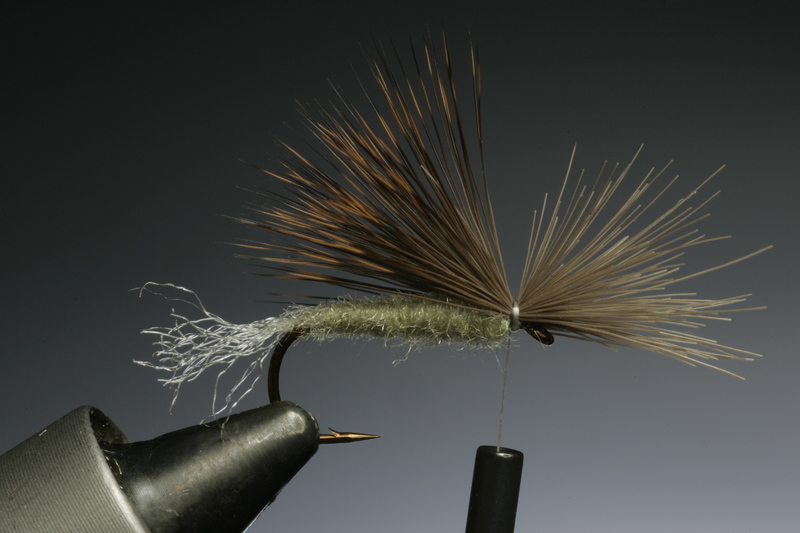 This next fly in the course is the X Caddis. 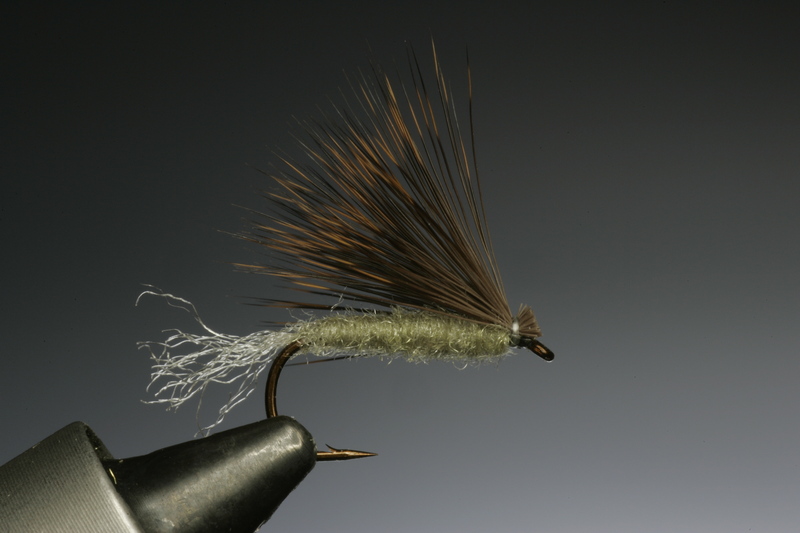 This is a no hackle dry fly that floats extremely well because of the natural buoyancy of the deer hair and Antron tail. I can´t recommend the X-caddis enough. No grayling or trout fisherman should be without this pattern in their fly box. The original from John Juraceks and Craig Mathews was intended as a hatching caddis fly that is skating across the surface trying to escape from the nymphal skin that is trailing behind it, before it flies to freedom. This pattern has taken fish for me all over the globe, in all kinds of conditions and not only during caddis hatches but also under extremely selective feeding during mayfly hatches and midge fishing. The high flared deer hair wing and head, position the low profile no hackle body, so perfectly in the surface film that grayling just can´t resist it. I have had most success with this pattern in the smaller hook sizes from # 16-18. When tying these smaller sizes I prefer to use the finer hair from the roe deer mask. This hair is nicely marked and extremely fine even for the smallest patterns, and only flares to 45 degrees unlike the more buoyant body hair that will flare to 90 degrees. Although you can tie the X-caddis in various body colours I have found the one shown here the most effective. 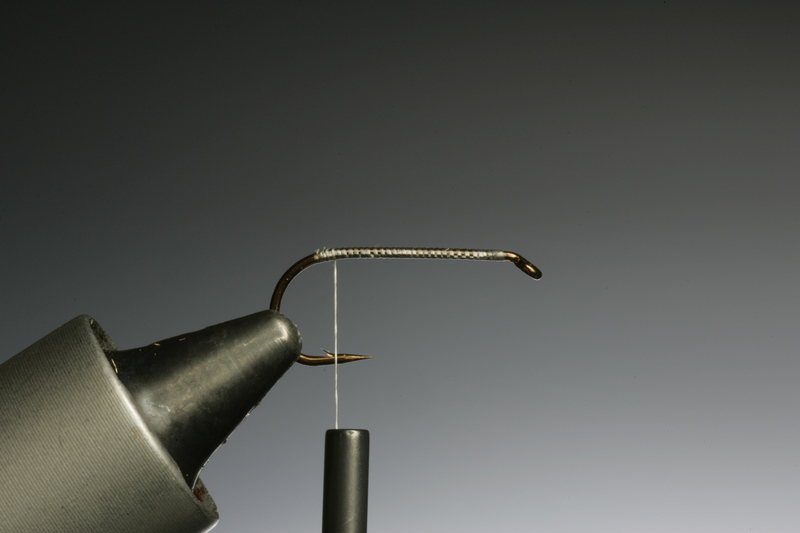 Make sure that when you secure your hook in the vice that the hook shank is horizontal. 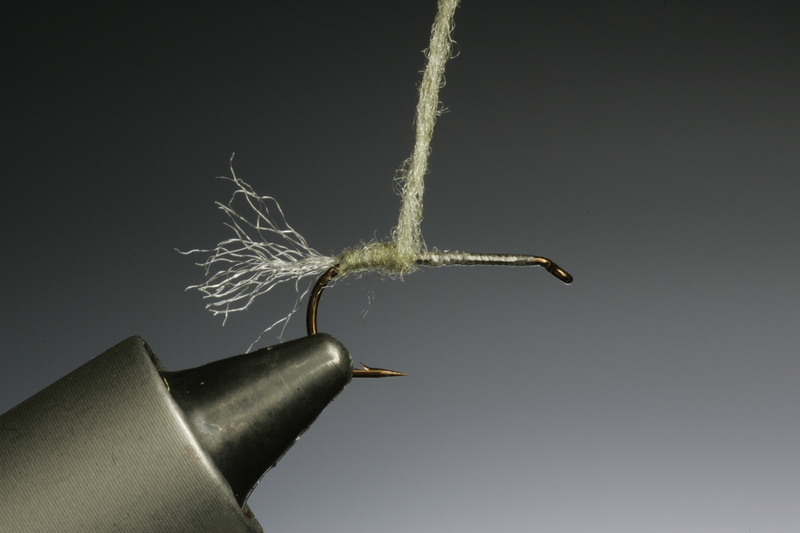 Cover the hook shank with a layer of tying thread. Cut a very small piece of cream coloured crimped polypropylene yarn or Z-Lon (material from John Betts) Tie this in where the hook bend begins as shown. You dont need much, this is going to represent the nymph skin trailing behind the hatching caddis. It should be about half the hook shaft length. 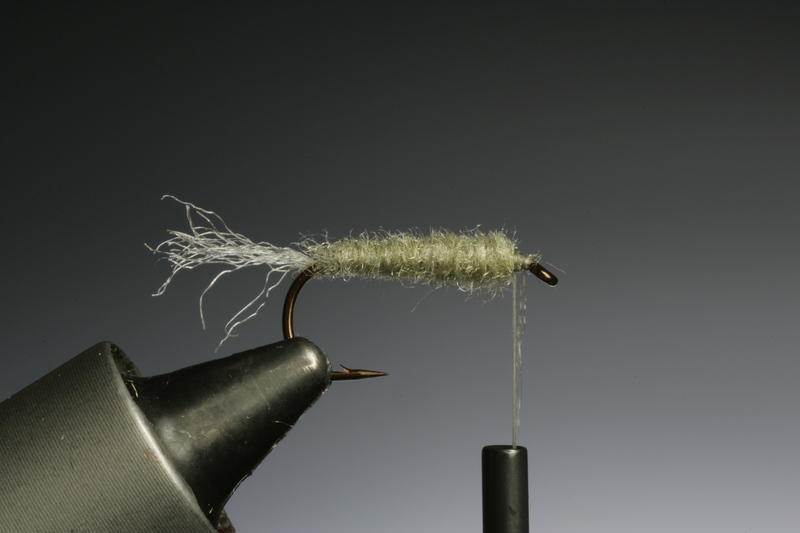 Wind your tying thread back to the tail base. Spin a thin dubbing string onto the tying thread and wind tightly forward. 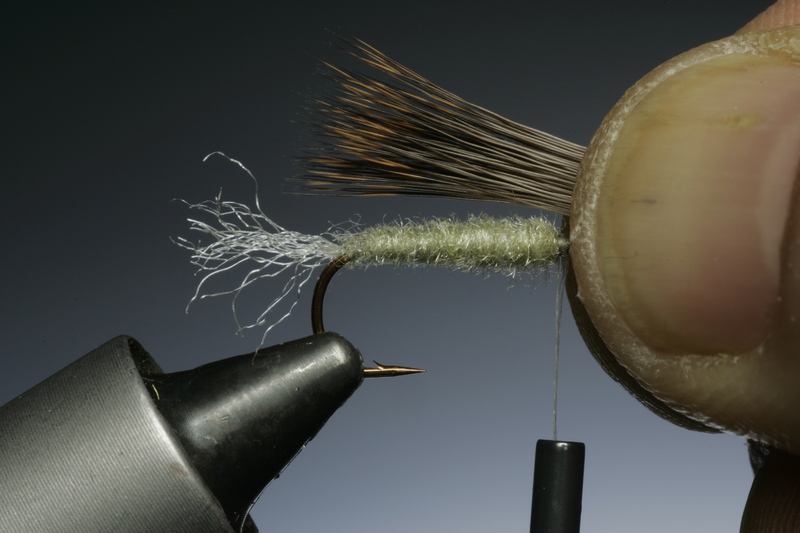 Wind the dubbing forward so that you get a slightly increasing body thickness as you approach the hook eye. Leave 2-3 mm behind the hook eye so you have room for the wing and head. Make a whip finish, but dont remove the tying thread. Cut a small bunch with fine deer hair and even the points in a hair stacker if you have one. If you dont have a hair stacker try and get the points of the hair as even as possible. Holding the hair measure the wing by holding the hair on top of the hook shank. The wing should be a fraction longer than the body. While still holding the deer hair make two loose turns of tying thread around the wing and hook shank, still holding the deer hair, then tighten by pulling down. 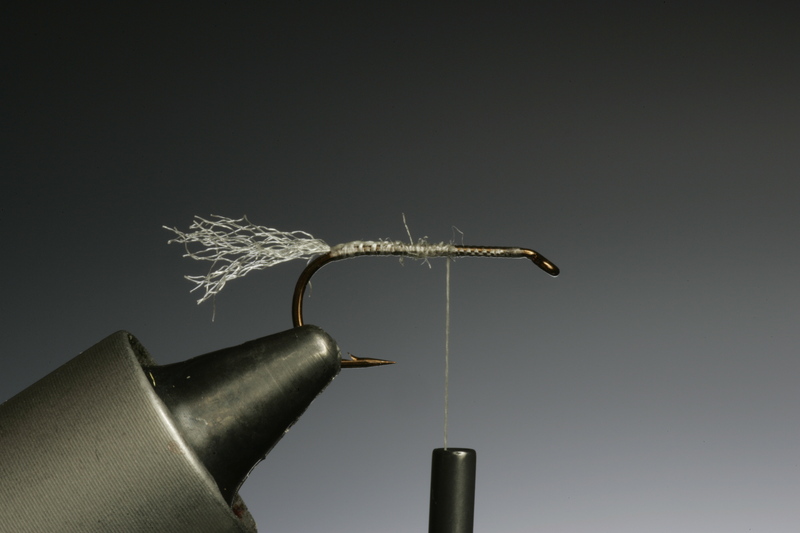 Make 5 or 6 tight turns of tying thread as shown. With a pair of sharp scissors cut off the excess deer hair over the hook eye with one neat cut as shown. Make a couple of whip finishes and your X caddis is ready. You can also put a tiny drop of varnish just on the whippings.